TenguLife: The curious guide to Japan: Start getting ready, Halloween will soon be on us! Start getting ready, Halloween will soon be on us! 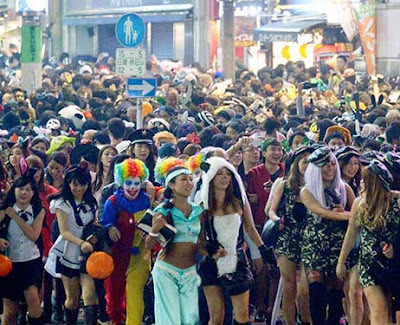 Soon we'll see Halloween actually fall on a Saturday and the streets of Japan will go crazy. 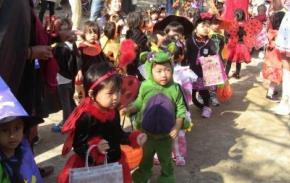 Young children will follow maps marking the houses where they can receive candy (the "trick" element of "trick-or-treat" doesn't seem to have caught on), the largest processions including hundreds of families, all in costume, and all enjoying a great day out together. But it's when darkness falls that the fun really begins. 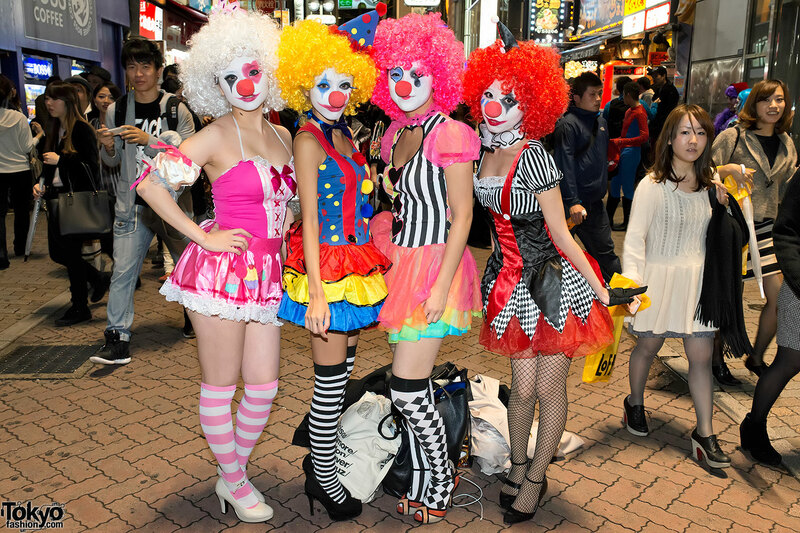 In the last few years the student population of Japan has taken to Halloween with a passion. The famous Shibuya Crossing in central Tokyo will be a awash with ghouls, ghosts and things that go bump in the night. But in typical Japanese fashion there will also be elves, pixies, cats and clowns and anything that looks cute as the girls throw themselves into the spirit of what is fast becoming the countries biggest party night. The student population of Japan will already be putting together their concepts, costumes and plans for the night. So start thinking. Group photos are always the best. And if you want to experience the speed at which Japan can change direction when it puts it's mind to it, head on down to Shibuya Crossing on Halloween. It really will be quite a sight and didn't even exist five years ago. After that of course, it's Santa's little helper time.